Two new congregations will be set up and lay people could be appointed to lead some of Rome’s dicasteries, according to the Cardinal responsible for overseeing reform of the Roman Curia, reports The Tablet. 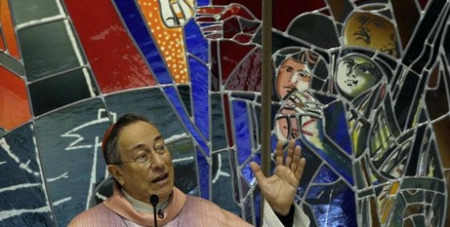 Cardinal Oscar Rodriguez Maradiaga, co-ordinator of the so-called C9 (the Council of Cardinals set up to re-organise the Curia), told Vatican Insider that two bodies dedicated to the laity and to charity were in the process of being set up. Asked if the Church’s judicial structures would be reformed as well, he said the issue was not due to be discussed until at least the next meeting of the C9, but added: “I think it would be a good idea to have one single ministry of Justice in the Church … with one single head” that would include the Apostolic Signatura and the Council for Legislative Texts."